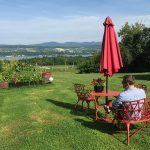 The summer after university is the ultimate blank slate: you can go back to camp, rediscover reading for pleasure, work at an ice cream shop, or in our case, travel. 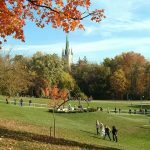 As a destination, Canada is not so obvious – we often overlook the magic of exploring our own backyard in favour of more exotic places. 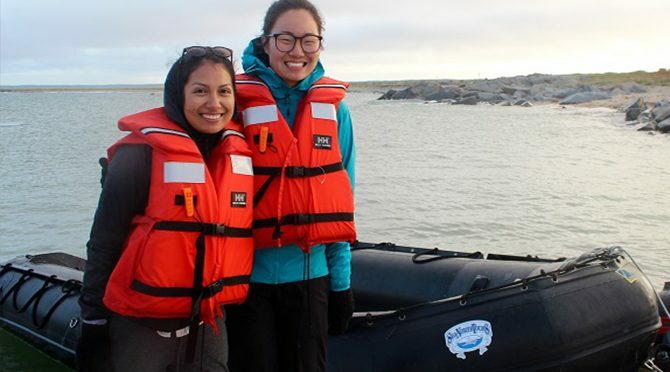 For two girls eager to get in as many adventures as possible before entering the workforce, discovering Canada coast-to-coast seemed like the perfect mission. Armed with backpacks and some contacts from university, we set out in search of Canadiana. A side effect of travelling through some of the most beautifully untouched landscapes in Canada is a feeling of guilt every time you reach for your phone. After spending upwards of 300 hours on the train, we have become hyper-aware of how much time we spend plugged in. Excess time could then be spent reading, taking in the sights, sipping tea, but mostly by getting to know the other people on board. Other than students on their first day of school, you won’t find a group more disposed to chatting than fellow train passengers. At the start of every meal we would be seated with a new couple, and by dessert we had two new friends. We met retired farmers, teachers on holiday, new Canadians getting to know their home, acutely aware that in most other scenarios, we wouldn’t have the chance to talk. 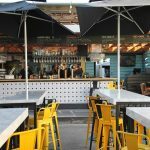 For times when conversation was not what we were looking for (i.e. before our morning coffee), there were places to curl up and read, without the risk of an interrupting push notification. The ultimate exercise in the train digital detox is to just sit and watch the show from the panorama car without opening Snapchat or Instagram. The ride into Jasper offered some of the best Rocky Mountain views, which were easier to enjoy without distraction. Do You Want to Build a Country? While in Halifax, we spent an afternoon at the Canadian Museum of Immigration. Located at Pier 21, it is the same building where new Canadians arrived by boat less than 100 years ago. Immigrants would disembark, go through customs, and get on the train without stepping foot on Nova Scotian soil. For two girls whose families immigrated by more modern methods, it was a powerful look at Canada’s migration history. As we travelled west, we traced the steps of thousands of immigrants before us, travelling to their new homes by rail from the Maritime pier. 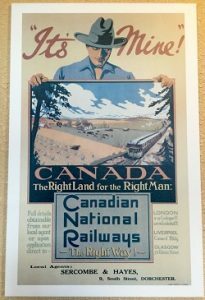 Rail companies played a large role in the strategy to help populate our country- we saw many vintage posters from Canadian National urging young European men to rise to the challenge of farming Canada’s abundance of land. Each grain elevator we passed on our journey westward was proof of the region’s agricultural roots, the settlers of western Canada, and the train that connects it all. For a more detailed account of our time in the prairies check out our post on Saskatoon! 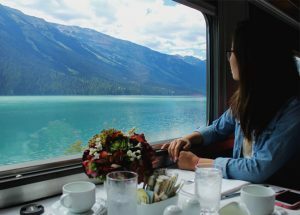 Train travel is a way of connecting with the geography of this country, and we quickly realized that the cities and towns along the journey were home to some of Canada’s natural wonders. Each destination had its own outdoor adventure – like the Parc National de Fjord-du-Saguenay, close to VIA’s Jonquiere station, Jasper National Park with its overdose of mountain peaks, and Jofree Lakes’ stunning glacial pools, located just a short drive from Vancouver. 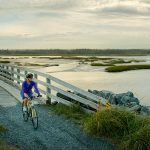 We took advantage of the various water activities available across the country- kayaking in New Brunswick’s Hopewell Rocks, white water rafting on BC’s Fraser River, deep-sea fishing in Prince Edward Island, and stand up paddle boarding in North Vancouver. 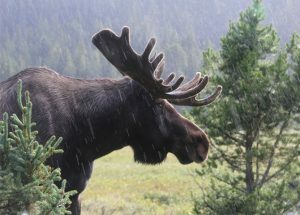 Michelle’s shot of our moose encounter in Alberta! Nature photography aficionados have incredible opportunities for spotting Canada’s most revered animals when travelling cross-country. We were lucky enough to come across a moose in Alberta and both belugas and polar bears in Manitoba! Our video shows just how intimate all these experiences with the outdoors were- and how many adventures were waiting for us across Canada. If you’re on the fence about undergoing a similar journey, we hope we have given you the push you need! True, our trip was challenging at times – reconciling so many stories, histories and geographies was no walk in the National Park (haha), but the pay-off was worth it. If you are sorry you didn’t pay more attention in grade 10 history, here is an opportunity to learn about the people your streets are named after. You will also come to understand why each small Canadian town has a Chinese restaurant, and how the Fairmont hotels came to be. 60 days, 17,988 km and 350 train hours was all it took. As we rolled into Toronto’s Union Station at the end of the journey, we couldn’t be prouder to call this country home. 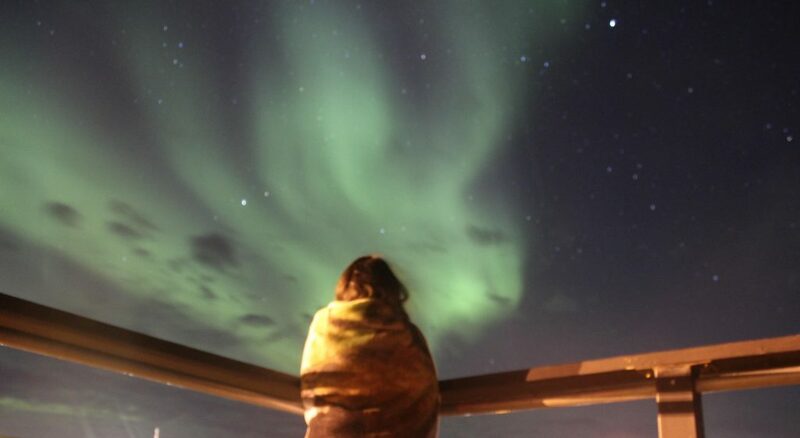 3 Comments on "A Summer by Rail: Our Great Canadian Train Trip"
Sooo Inspired by this !!! 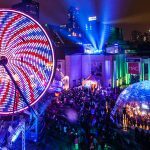 We about to do a WINTER trip across the country(only one way- as we have two kids under 11 years old)but we are really looking forward to do the”CANADIAN” Toronto to Vancouver- and would love to know about all the stops on the way there.. your article helped !! Sounds incredible! How much did this cost you in total?